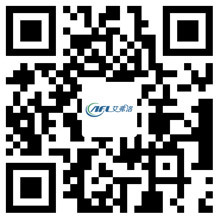 EC Fan is Different From Ordinary DC Fans - Hangzhou Airflow Electric Appliances Co.,Ltd. We usually say that the EC fan is a DC fan, but different from the ordinary DC fan. EC fan is a new fan industry, it is different from other DC fans, it can not only use the DC voltage power supply, but also can use AC voltage power supply. Voltage from DC 12v, 24 v, 48v, to AC 110V, 380V can be universal, do not need to add any inverter conversion. All internal components for the power supply DC power supply, built-in DC variable AC, the use of rotor position feedback, three-phase AC, permanent magnet, synchronous motor. EC fan uses intelligent control module DC brushless motor, the motor comes with RS485 output interface, 0-10V sensor output interface, 4-20mA speed switch output interface, alarm device output interface and master and slave signal output interface. The product has a high intelligence, high energy efficiency, high efficiency, long life, low vibration, low noise and continuous uninterrupted work. Brushless DC motor due to eliminating the excitation of the collector ring and brush, the structure greatly simplified. At the same time not only improve the motor process, and the mechanical reliability of the motor running greatly enhanced life expectancy. As the brushless DC motor excitation magnetic field does not require the reactive current of the grid, so the power factor is much higher than the induction motor, brushless DC motor can run on a power factor, which is very favorable for low-power motor. Brushless motors have a higher efficiency and power factor than rated motors, and are more advantageous at light loads. Brushless DC motor consists of permanent magnet rotor, multi-pole winding stator, position sensor and other components. The position sensor converts the current of the stator winding in a certain order according to the change of the position of the rotor (that is, the position of the rotor pole relative to the stator winding is detected and the position sensing signal is generated at the determined position and processed by the signal conversion circuit To control the power switch circuit, according to a certain logical relationship between the winding current switching).